Discovery Mk 1 , Gerry Lane 2nd from right. Discovery Mk 2 , Gerry Lane 2nd from right. Highly promising hard rock/metal act with a volatile lineup. 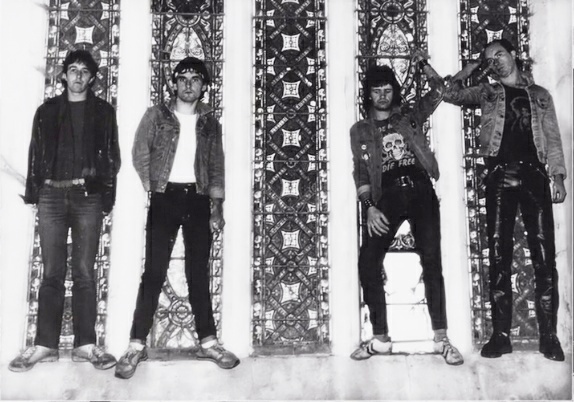 Driveshaft's one constant was it's founder Gerry Lane who'd been playing in bands since his early teens. In 1980 he led a poppy new wave band called Discovery (including Chris Hurley on bass who played with legendary Cork outfit Loudest Whisper) who recorded a single with the help of famous West Cork resident Noel Redding. Redding produced it and played lead guitar on one track. Don Boyle played bass. 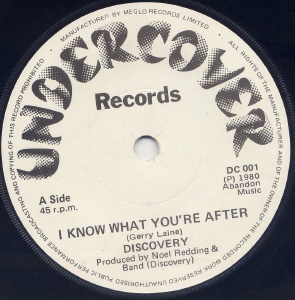 This single was released on Gerry's own Undercover label. 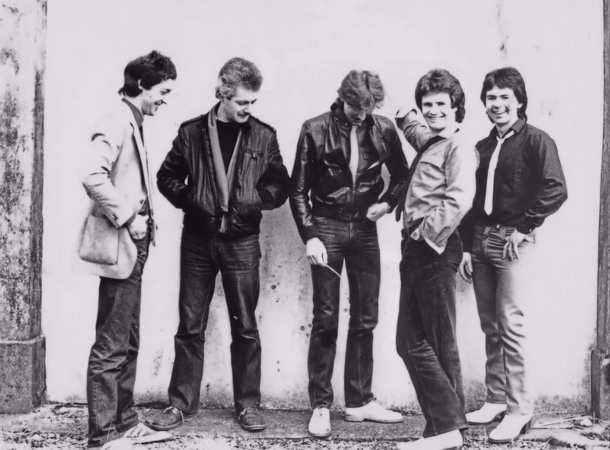 It was well received and got quite a bit of airplay on RTE, but Gerry wasn't happy with the musical direction of the band and so Discovery split and Gerry and new drummer Wayne Sheehy formed Driveshaft. 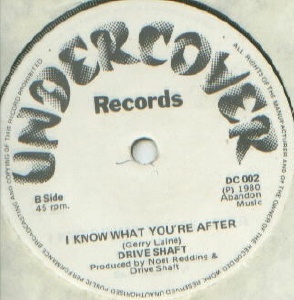 Remaining copies of the Discovery single were re-labelled as a Driveshaft release with the sides reversed. 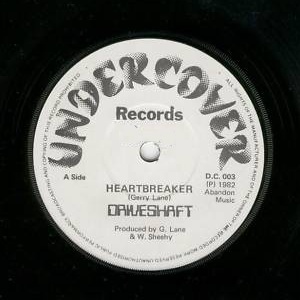 Lane and Sheehy recorded Driveshaft's debut single "Heartbreaker" as a duo in late 1981, with Gerry handling all guitar and bass duties. Released in January 1982, it was a great success and scored them several TV appearances on RTE, including Non Stop Pop (January 1982), Anything Goes and SBB ina Shui. By this time the band had expanded to a fourpiece, with Noel Curran (guitar) and Pat O'Driscoll (bass). Both were replaced by Kieran Kennedy and Noel Murphy respectively during 1982. In 1983, Lane moved to London, taking only Noel Murphy with him, and London became Driveshaft's home for the rest of it's lifetime. 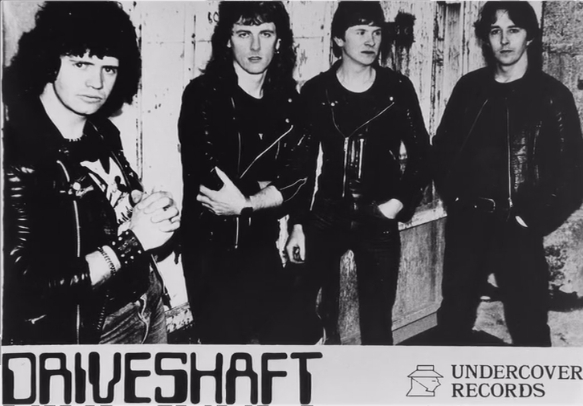 The London based Driveshaft lineup was filled out by ex Megaton guitarist Jeremy Nagle and Gary Hartnet on drums. 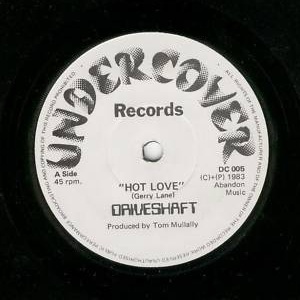 They released the "Hot Love" single in May 1983. 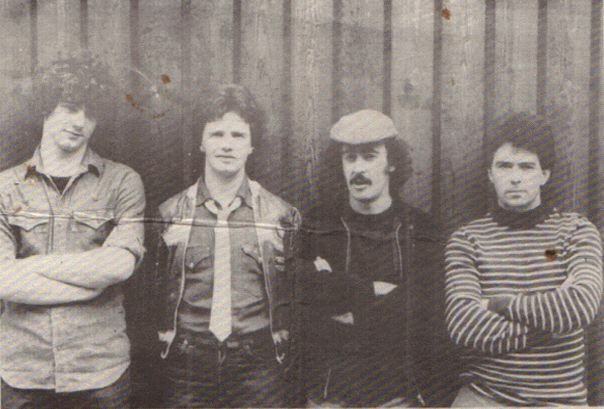 Hartnet had been replaced by Mike Maher by the time of the "Live Cutz" 12inch in 1984, which was the first release not on the band's own label, coming out on the Dublin label Revolving Records. 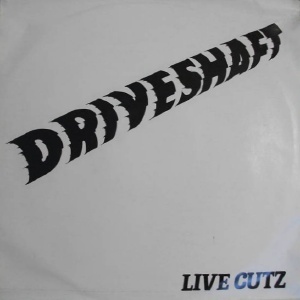 Driveshaft gigged sporadically in London and worked with many big names in the rock/metal world during 1984-87 but almost nothing from this period has been released. The following details are somewhat sketchy and were assembled from conflicting sources, so please bear this in mind. 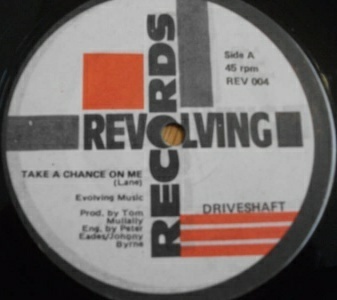 By 1985 Driveshaft were being managed by Brenda Brooker at RAK Records, where they'd begun to record demos for an LP. As far as I can tell, this was before the Mark 7 lineup came together, and Driveshaft was essentially Gerry Lane plus session musicians. The recordings were financed by a production company called Mystery Productions and produced by John Sinclair, then keyboards player with Ozzy Osbourne. Australian Jamie Paige played guitar and Cozy Powell played drums. Paige had previously been in Australian metal bands Black Alice and Trilogy before moving to London. 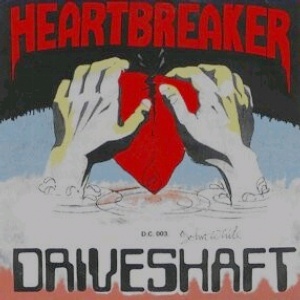 Driveshaft recorded one of Paige's songs "Unchain My Heart", which was released as a singe in Ireland (only) on Mystery Records (nothing to do with the Irish WEA sub-label). The Mark 7 lineup came together in 1986. Besides Gerry Lane, this featured Fred Avesque (lead guitar), ex Sledgehammer bassist John Hennessy and Graham Waxman on drums. 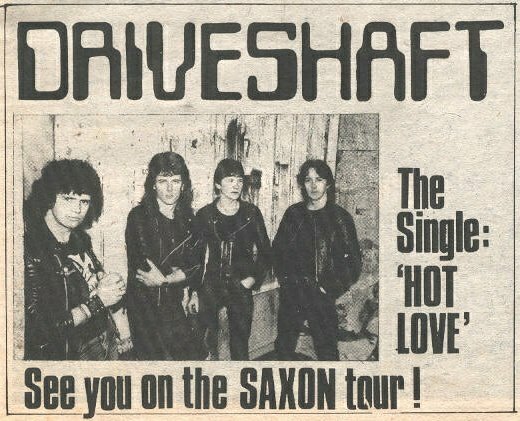 As far as I can make out, at some point it was suggested that Driveshaft regroup around Gerry Lane and drummer Cozy Powell, but Gerry refused to dump his new band mates. Nevertheless, the 1986 Driveshaft lineup essentially split at this point. 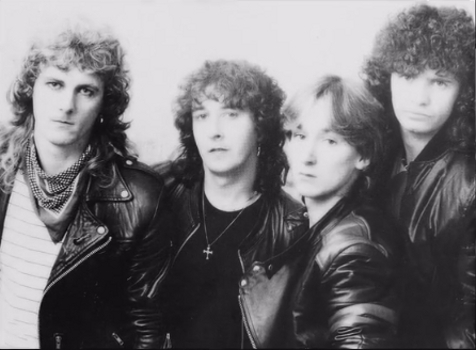 Further recordings were made under the Driveshaft name during 1987-88. which again featured guitarist Jamie Paige, plus bassist Neil Murray (Whitesnake, Hanson, etc) and Cozy Powell on drums. John Sinclair produced and played keyboards on some tracks. This band re-recorded three older tracks ( "Lonely Nights Lonely Days", "Cryin" and "Shout") and possibly some new material. 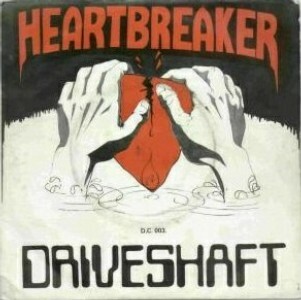 Once again these sessions were not completed and Driveshaft's debut LP was aborted. Cozy Powell and Neil Murray joined Black Sabbath in 1989. 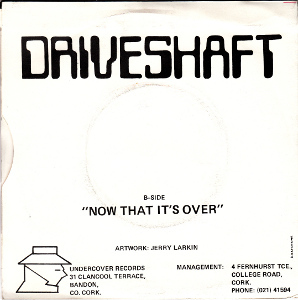 After a late name change to Cajo, Driveshaft folded sometime towards the end of 1989. All the aforementioned RAK recordings presumably sit in a vault somewhere. However, two recordings did emerge in 1992. 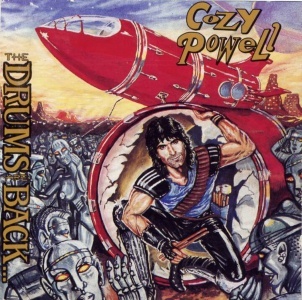 Cozy Powell released his "The Drums Are Back" LP in 1992, produced by the same Mystery production company which had financed the aborted Driveshaft LP. 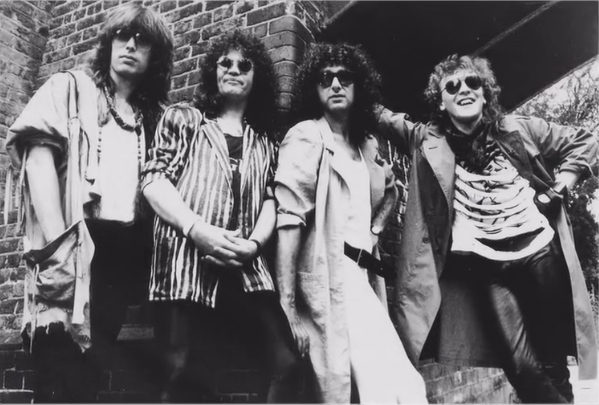 Cozy's LP used two of the Driveshaft era recordings, "Shout" (retitled "I Wanna Hear You Shout") and "Cryin'". Gerry Lane continues to play live. For more details of his career, check out his website (link below). 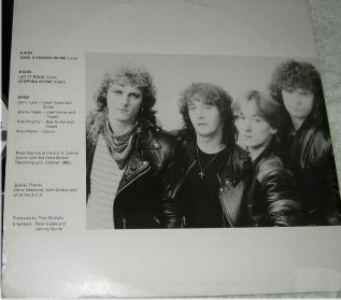 Two ex members of Driveshaft (Wayne and Kieran Kennedy) were involved in 1990. Sheehy later played in Cactus World News and Hinterland among others. 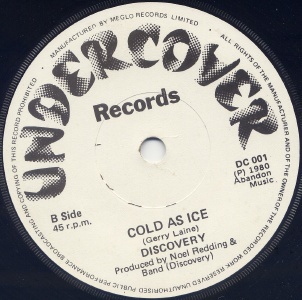 7" - Undercover Records - DC 001 - IRL - 1980 - no PS, 1000 copies pressed. Recorded at Fiona Studios in Fermoy. Produced by Noel Redding, who also played the guitar solo on "Cold As Ice". 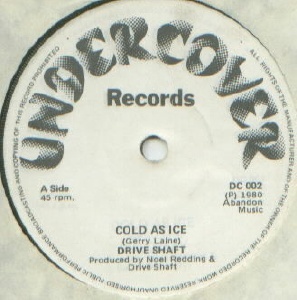 Re-labelled copies of DC 001 with the sides reversed and credits changed to Driveshaft. Notes: Live EP recorded at the SFX Centre in Dublin in October 1983 with the Eerie Mobile Recording Unit. Producer TOm Mullaly was U2's drum tech at that time. Despite what the titles might suggest, these are not covers. "Take A Chance On Me" and "Let It Rock" are both credited to Gerry Lane, "Stepping Stone" to Jeremy Nagle. A-side credited to J.Page, B-side to G.Lane. Produced by Cozy Powell. Notes: Produced by Cozy Powell for Mystery Productions. 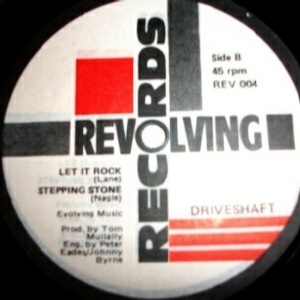 Both of the featured tracks began life as Driveshaft recordings and feature Gerry Lane (vocals) and Jamie Page (guitar). 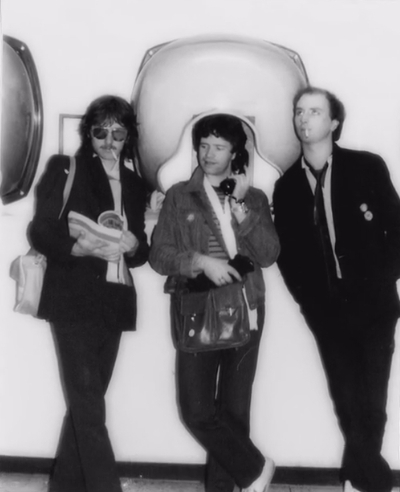 With Neil Murray (bass) and Cozy Powell (drums). John Sinclair played keyboards on "I Wanna Hear You Shout".